Nicolas von Bingen and Alex von Hemmerle, titled members of the German aristocracy, have been best friends since childhood. Both widowers, they are raising their children—Nick’s two lively boys and Alex’s adored teenage daughter—in peace and luxury on the vast Bavarian estates that have belonged to their families for generations. While Nick indulges in more glamorous pursuits, Alex devotes himself to breeding the renowned white Lipizzaner horses that enthrall audiences throughout Europe with their ability to dance and spin on command, majestic creatures whose bloodlines are rare and priceless. But it is Nicolas’s bloodline that changes everything, when his father receives a warning from a high-ranking contact inside the Wehrmacht. A secret from the past has left the family vulnerable to the rising tide of Nazism: Nick’s mother, whom he never knew, was of Jewish descent. Suddenly Nicolas must flee Germany, wrenching his sons away from the only home they have known, sailing across the Atlantic for a new life in America. Their survival will depend on a precious gift from Alex, their only stake for the future: eight purebred horses, two of them stunning Lipizzaners. In Florida, where Nicolas joins the Ringling Brothers Circus, he becomes Nick Bing, with Alex’s prize white stallion—now named Pegasus—the centerpiece of the show. In this extraordinary book, Danielle Steel tells the story of a family reinventing itself in America, while the country they left behind is engulfed in flames and madness, and men like Alex von Hemmerle are forced to make unbearable choices. Alex’s daughter will find sanctuary in England. In America, Nick will find love, his sons will find a future, and their left-behind world will eventually find them. 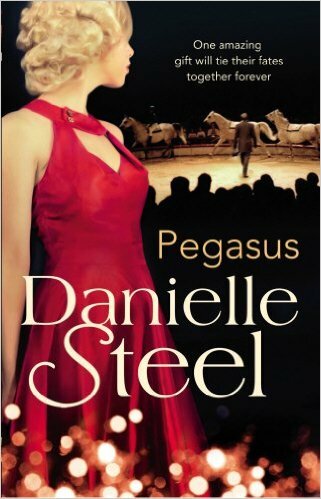 A novel of hope and sacrifice, of tragedy, challenge, and rebirth, Pegasus is a brilliant family chronicle that unfolds across half a century—a masterwork from one of our most beloved writers.